and material development for DCC in conjunction with Atelier Design Studio. Produced for Image Now design consultants this piece is fabricated from stainless steel and finished with a satin over-lacquer with translucent dye to give a pewter effect. 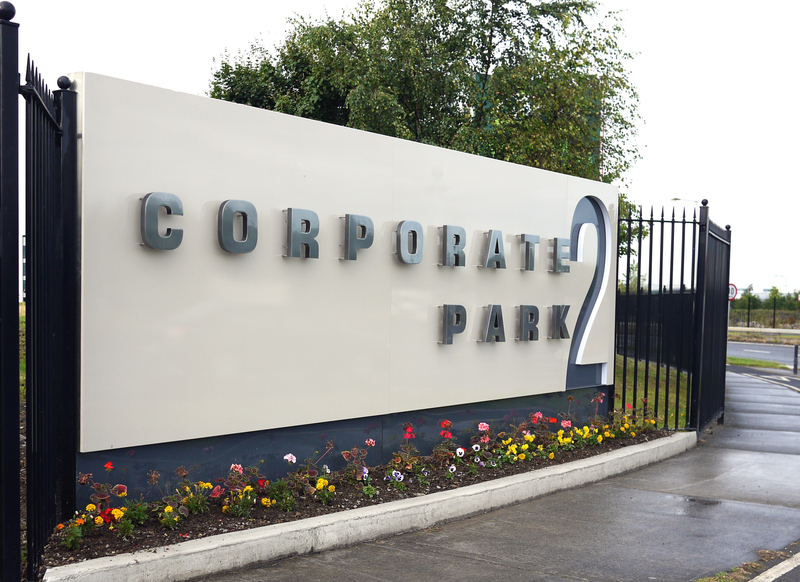 We are very proud of the new gate and wayfinding signs that we have just finished for our long time customers Blanchardstown Corporate Park. Chrome painted halo lit text and edge lit debossed numeral. 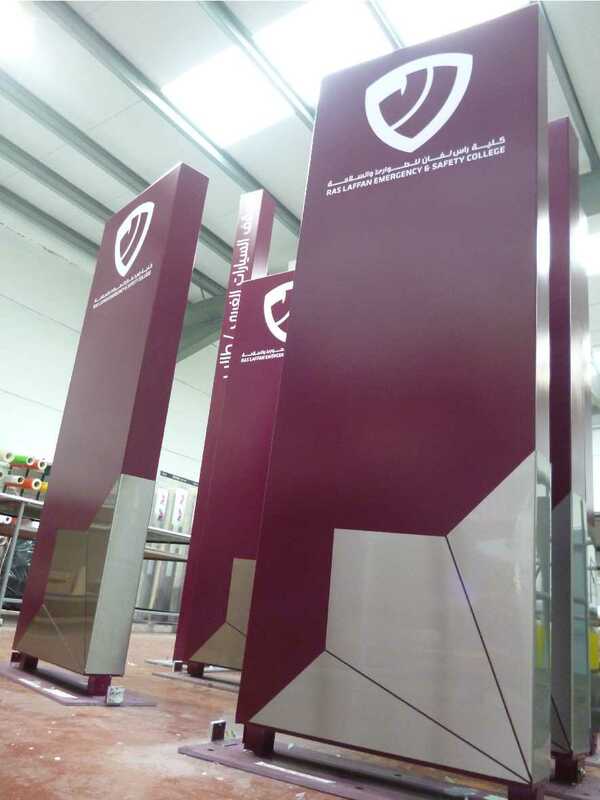 Artisan in association with DLine have just shipped over 50 new monoliths and pencil totems to Qatar for the new Healthcare College in Ras Laffan! 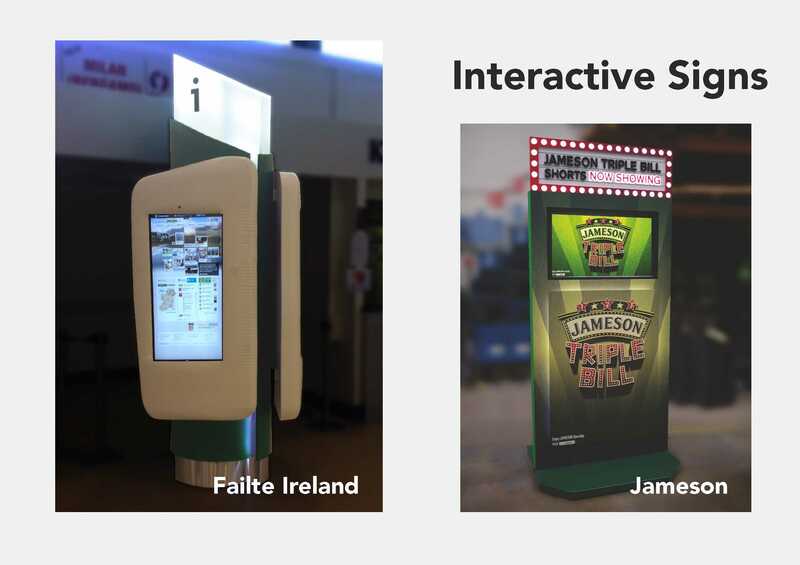 Artisan have recently produced signage with interactive and HD graphics for both the tourism and drinks sector! 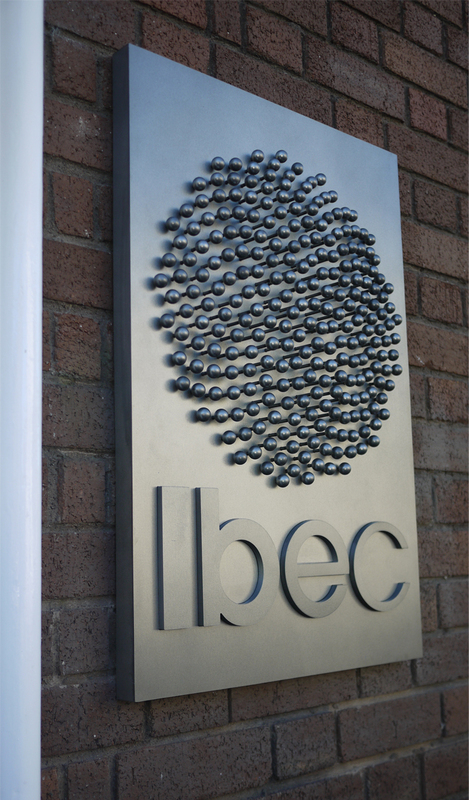 If you’ve any multimedia projects that you need assistance on then we’d be delighted to help! 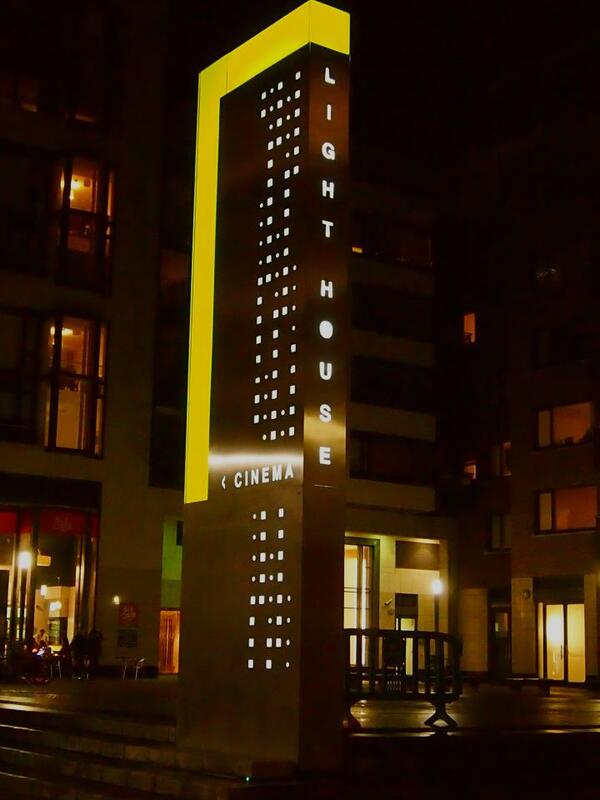 Artisan have just installed a new totem sign at the Light House Cinema in Dublin. It’s obviously proving popular as it got over 1,000 likes within a couple of hours of the Cinema putting it on it’s Facebook page! 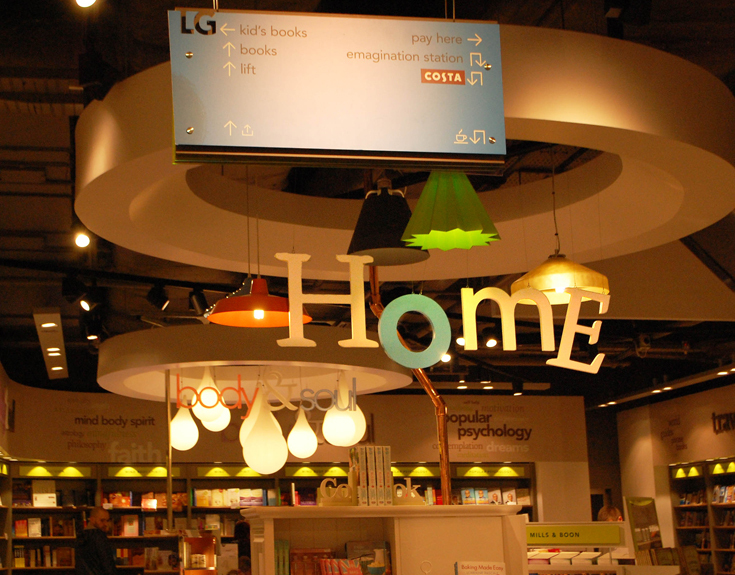 Congratulations to Easons on winning ‘Fit Out Project of the Year’ for their flagship store in Belfast. We worked very closely with the design team to deliver the signage package throughout the store and we are very proud of the award winning result! 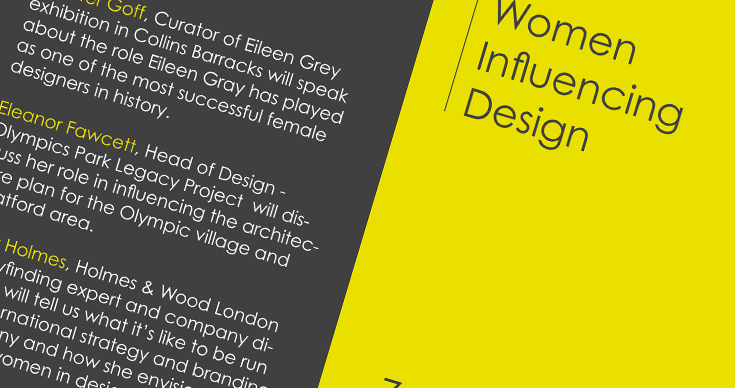 Radio coverage at our Design Week gig!